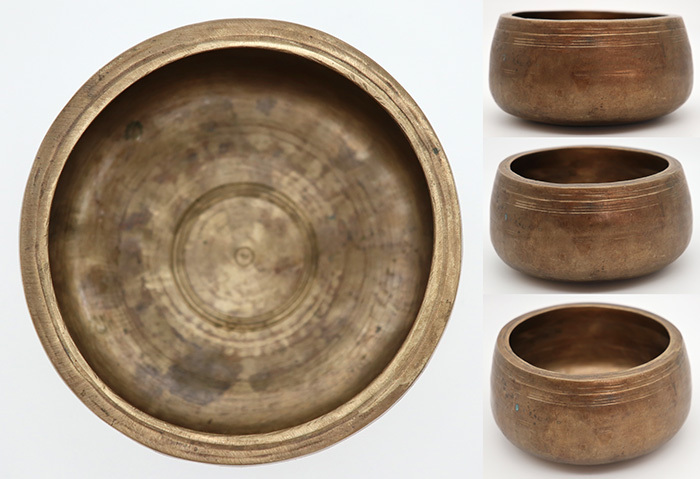 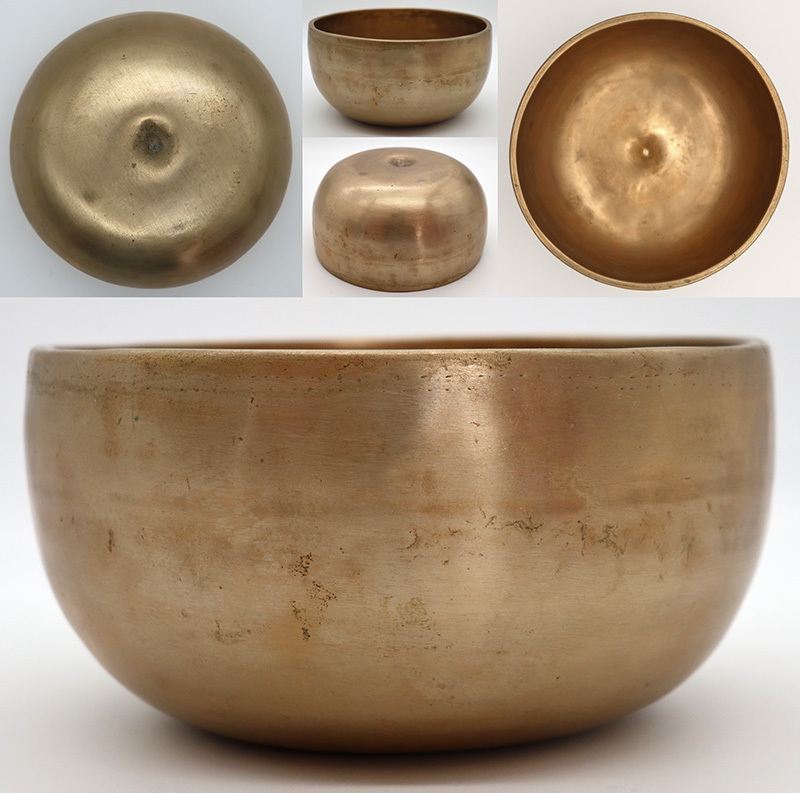 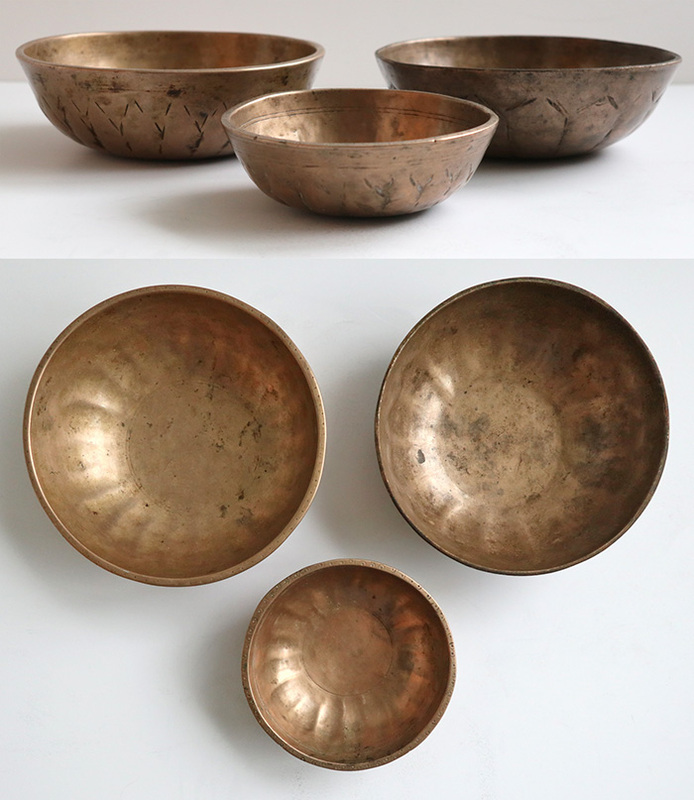 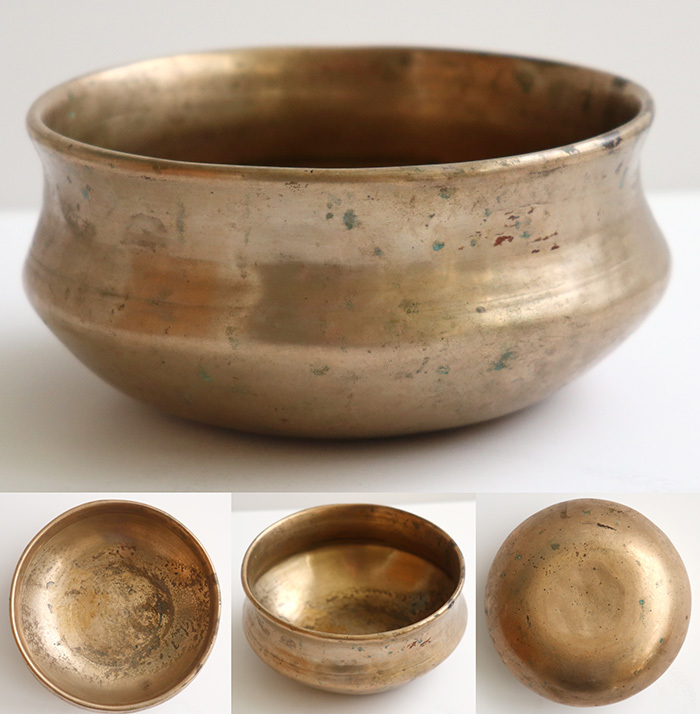 The majority of small singing bowls in this category are of the high-walled Thadobati or shallow Manipuri types, with diameters ranging from about 3½ to 5½ inches (9 to 14cm), but occasionally one comes across a small Mani or Lingam bowl. 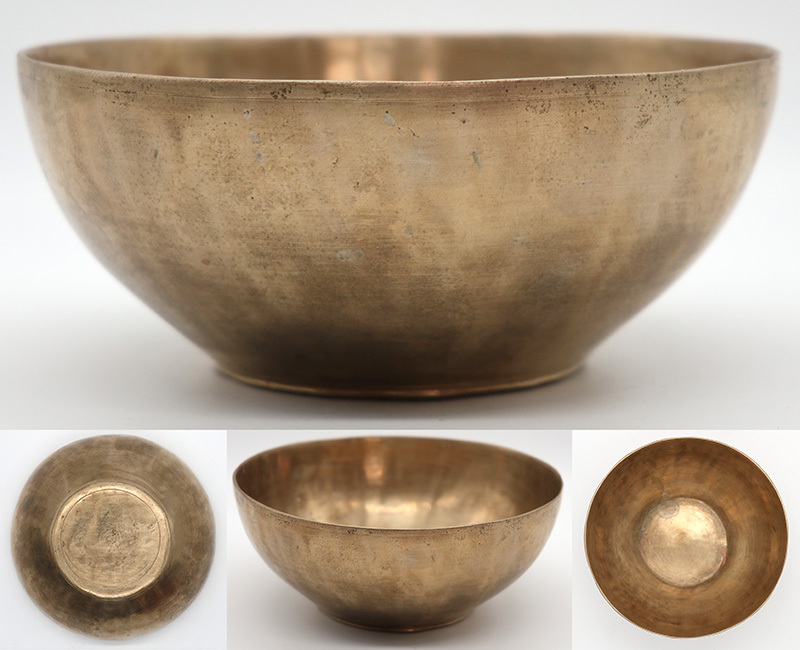 Small bowls tend to sing in the middle to high octaves, but there are some surprising exceptions. 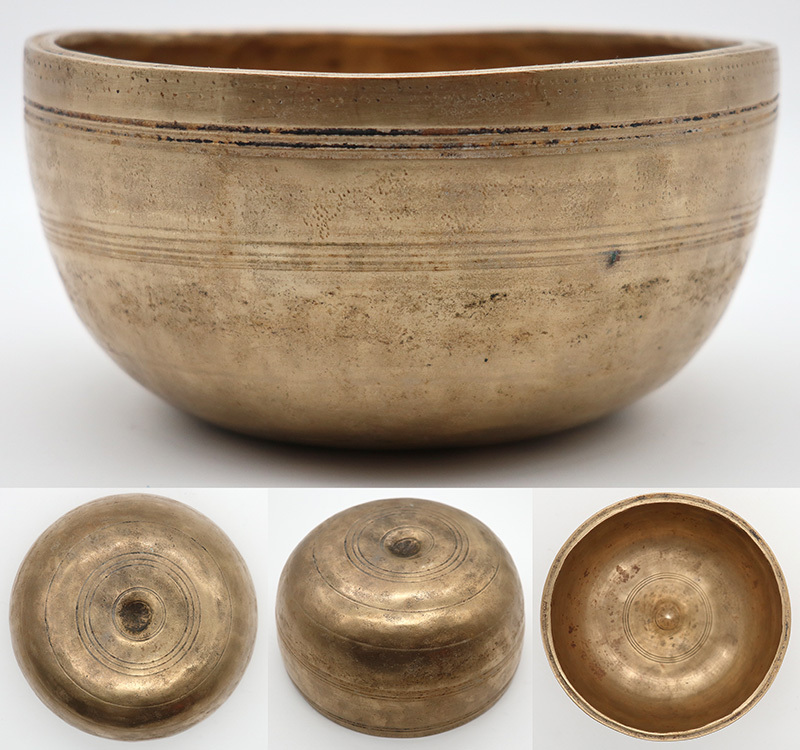 A few small Manipuri bowls have talking ability. 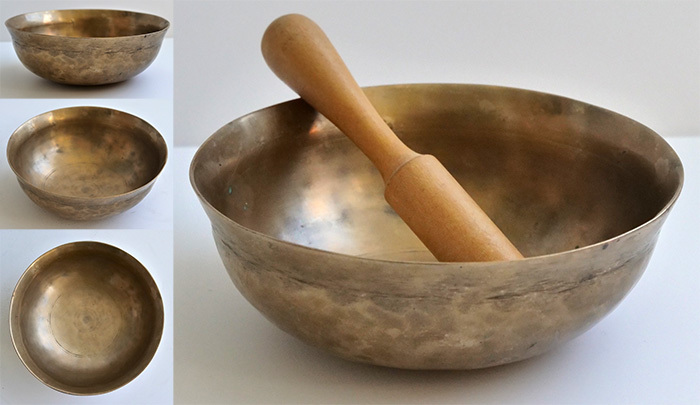 Small singing bowls are generally placed in the palm of one hand and played around the rim with a ringer in the other. 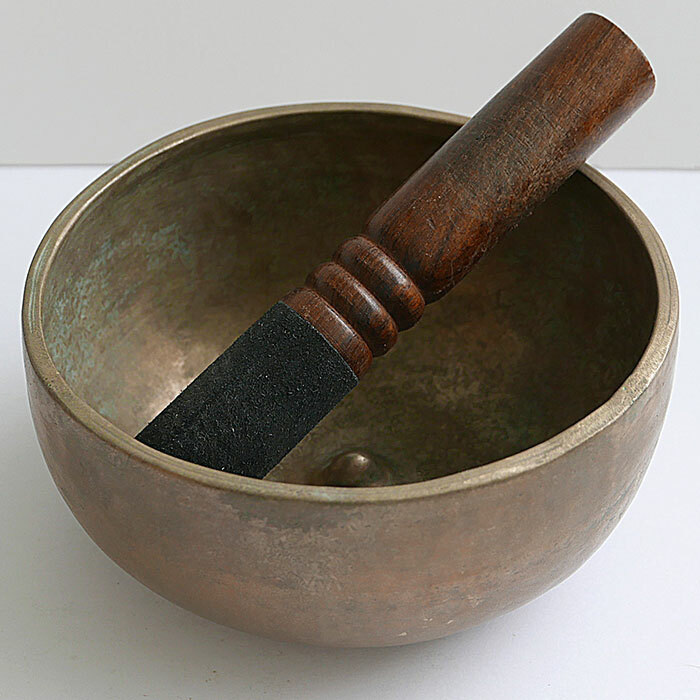 However, really tiny or light bowls, especially those with rounded bottoms, may be prone to spinning or rotating with the motion of the ringer, in which case they should be played balanced on the fingertips, or gently struck with a mallet. 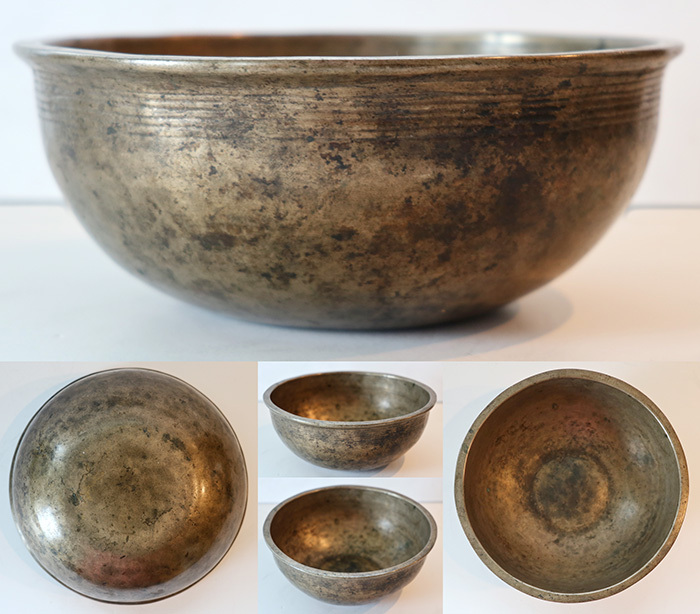 The portability of a small bowl may be advantageous to some.